Rather than ceding personalized learning to a mysterious adaptive software algorithm, Speak Agent gives students and their teachers their own personalization superpowers. Teachers can personalize content, sequence, and pacing for each student, group, or level. Students, on the other hand, also need agency to adjust difficulty and pacing and to explore and create within the learning path set by the teacher. Speak Agent gives students that agency. Many activities include ways for students to adjust the level of difficulty. For example, depending on the activity, students may choose a game level, determine the content level, or select optional hints. Students see completed lessons and activities marked off so that it is clear what has already been done. They can complete any assigned lesson in any order. Within each assigned lesson, they can complete the activities in any order, too. They can even replay lessons or activities they previously completed at any time. There is not always a clear answer to every academic language learning task in Speak Agent. The activities aim to foster curiosity and persistence to find the best fit. At times this means re-reading a story for clues, for example, or simply trying different solutions. The program also includes opportunities for collaborative learning and creativity where students make sentences, stories, or voice compositions together using your target academic concepts. Speak Agent provides room for student agency, curiosity, creativity, and exploration. In a recent NSF-sponsored study teachers observed students engaging in the content by "asking questions about challenging topics, and wanting to look up additional information on their own time." 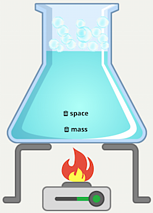 Students even created their own experiments based on content introduced in Speak Agent. Within each activity, progress is saved so that students do not have to start over each time they return. They can build upon their prior work, while teachers may monitor progress. Many activities even store student work in a digital portfolio. These include voice recordings, writing samples, and more. Currently, portfolios are available only to teachers, but in SY2018-19 students will be able to securely access and review their own digital portfolios any time, anywhere! The Speak Agent R&D team is continuing its work to increase student agency, particularly with regard to goal setting and self-monitoring. New features planned for next school year include enabling students to set personalized goals and achievements and to monitor their progress against those goals.